Great bike, my favorite at the moment! 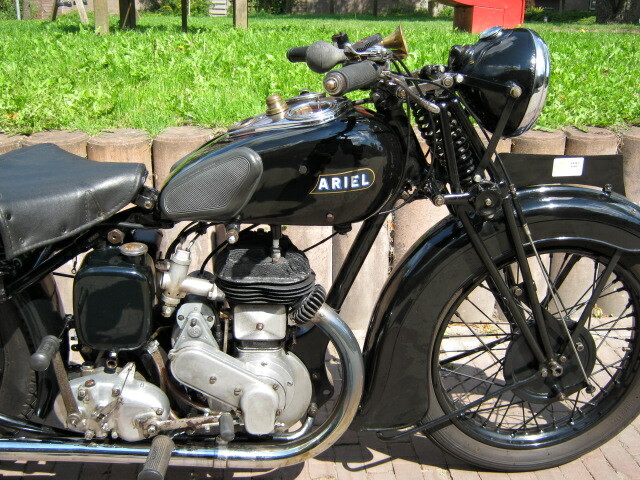 Big sidevalve Ariel from 1933. This one runs very fine, a lot of work has been done on the engine. Is in a condition that i like very much myself; "old restored". 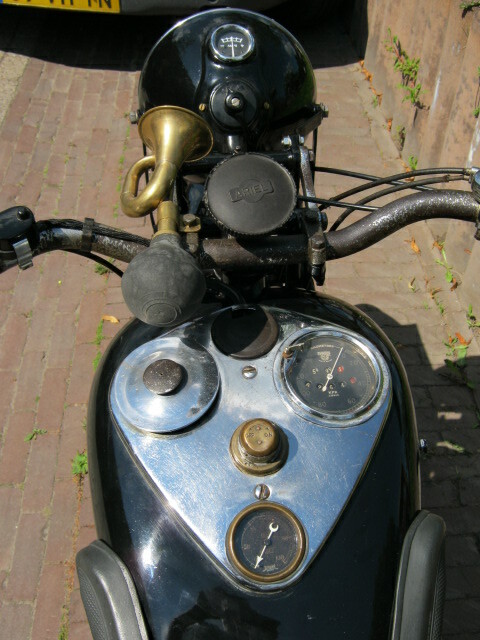 Very complete with the old Smith speedo, oilpresure-gauge, emergency-light and cover for eight days clock mounting. Gearbox has been changed once for a footchange gearbox, but the original housing is also there (slightly damaged) and also the chainguard wich is not on the pics is with the bike. 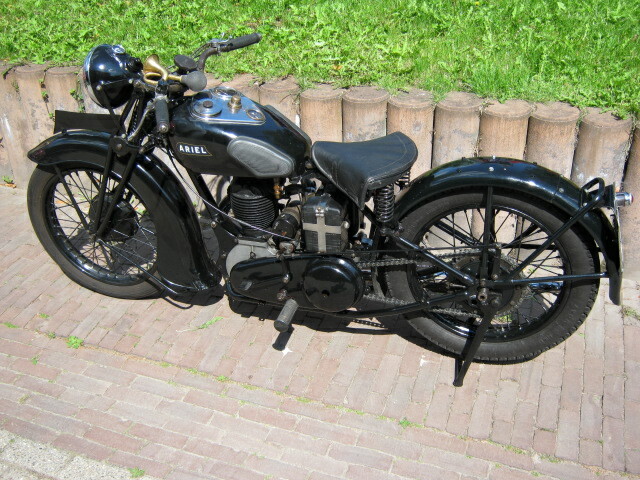 Is with original Dutch registration and an Ariel club document which states that the bike (with this frame and engine nrs) has been delivered in 1933 to Stokvis in Rotterdam.